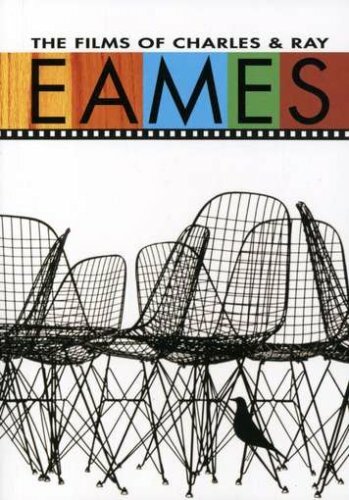 Charles and Ray Eames are among the finest American designers of the 20th Century. They are best known for their groundbreaking contributions to architecture, furniture design (the Eames® Chair), industrial design and manufacturing, and the photographic arts. In the early 1950s, the Eameses extended their interest and skill in photography into filmmaking. They created over eighty-five short films ranging in subjects from tops to the world of Franklin and Jefferson , from simple sea creatures to the explanation of advanced mathematical and scientific concepts, such as the workings of the computer. Toccata for Toy Trains and Powers of Ten are two brilliant examples of the Eameses' skill, creativity and far-reaching interests. The scores for both those films and some thirty others were written by their friend and collaborator, Elmer Bernstein. This Box Set contains The Films of Charles & Ray Eames volumes 1 – 6.